Compatible with PC, PS4, XBOX, Switch, Tablet and mobile phones. The Ekho X40 relays with absolute precision all the sound effects of the game thanks to its 50mm diameter speakers that guarantee excellent sound quality. 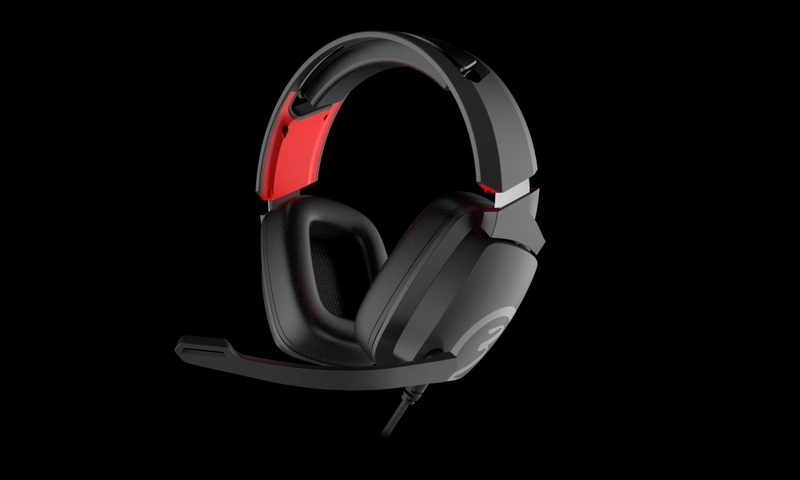 Conceived to offer you optimal isolation, they allow you to focus solely on defeating the enemy and lose yourself in your strategy, thanks to their surround sound. This range stands out for its strong commitment to premium and resistant materials within an ultralight and ergonomic design, thanks to cushioned earpads and a flexible, adjustable headband which adapts itself intuitively to any shape, avoiding discomfort during prolonged use. Experience long gaming sessions without even noticing you are wearing them, so all you have to worry about is winning. The Ekho X40 incorporates a folding multi-directional microphone that can be adjusted to your desired position, and which can be easily folded away when not needed. In addition, so nothing distracts your attention from the game, it comes with a convenient inline controller with which you can adjust the speaker volume and mute the microphone without ever losing sight of your tactics. The Ekho X40 is designed to be enjoyed anywhere and on any platform. For this reason they offer maximum compatibility: PS4, XBOX*, Switch, tablets, laptops, mobile phones and PC. Lead the battle whenever and wherever you want, with nothing to stop you. * Adapter required for XBOX. Not included. 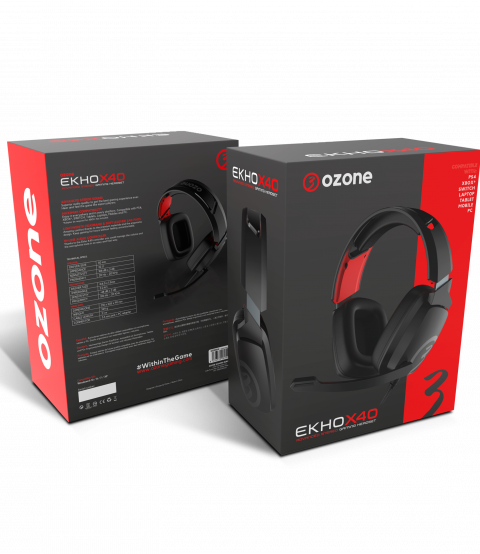 Los auriculares Ozone Ekho X40 ofrecen una calidad de sonido aceptable para su rango de precio, siendo unos auriculares estéreo que cumplen su papel. Un gran sonido para su bajo coste, y una comodidad igual de buena. Podemos disfrutar de graves potentes y suaves agudos, algo que no suele ser habitual en dispositivos de este precio. Es muy posible que no encontremos unos auriculares más completos en este rango de precio, por lo menos es como mínimo muy complicado.